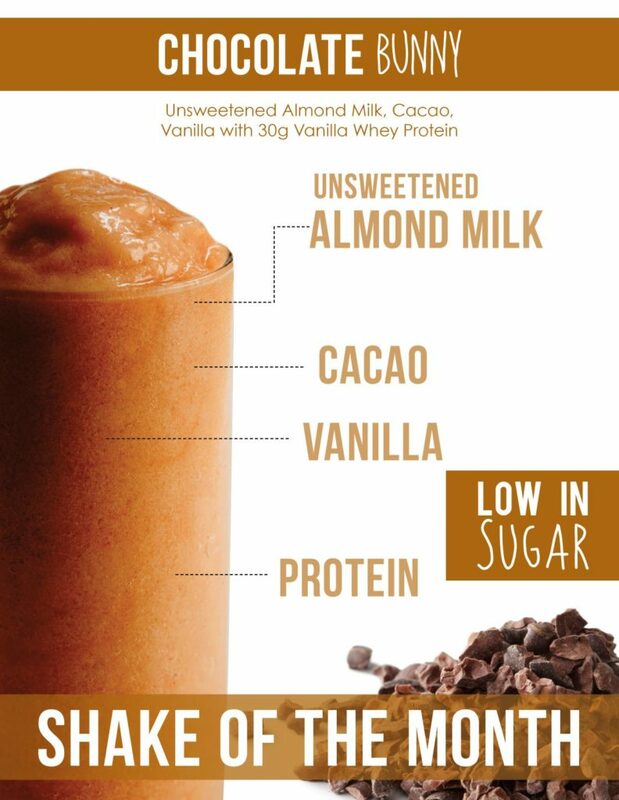 Chocolate lovers, this is your month – take a look at the delicious shakes offered for April! Chocolate Bunny or Salted Caramel Cocoa; what’s your pleasure? 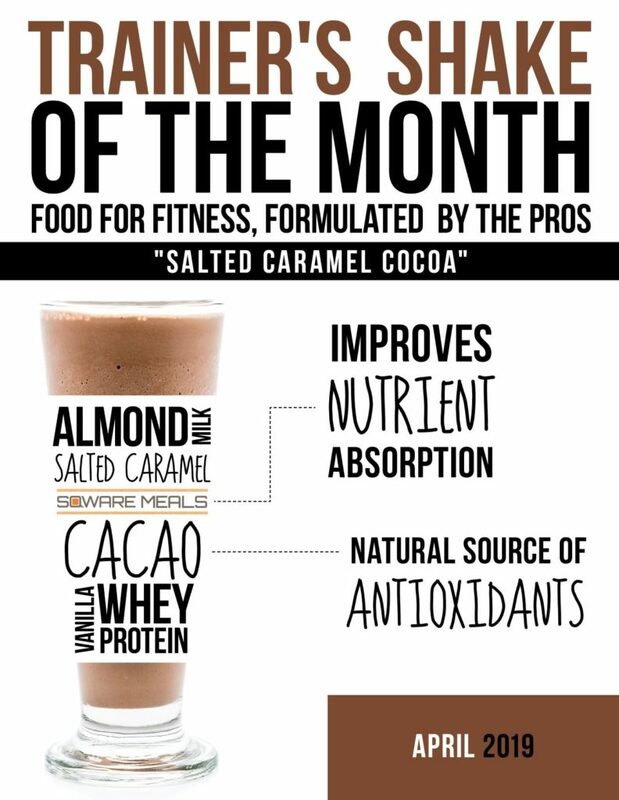 Both are heavyweights in protein, good sources of calcium and vitamin D and feature cacao, a natural source of antioxidants. Hop on over to the café to check out April’s shakes!